I was hoping you could help with this notion of ‘gist’ tasks, which I’ve always thought as helpful in the ESL classroom. 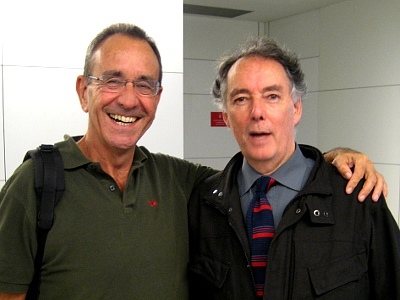 … A colleague in Seoul recently met Michael Swan, and he mentioned that Michael has reservations about the use or usefulness of gist tasks for students. I also seem to remember seeing an article along the same lines. What’s your current view on this? Do you include / recommend this in your MA TESOL course? 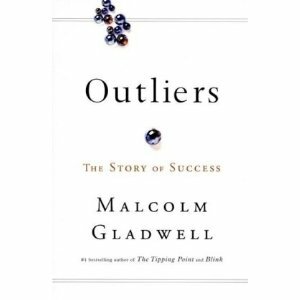 Would you be able to refer me to sources where I can do more reading on the topic? I might then be able to give my students and trainees more useful and helpful ideas and practice. skimming (skim-reading, reading for gist): rapidly reading a text in order to get the gist, or the main ideas or sense of a text. For example, a reader might skim a film review in order to see if the reviewer liked the film or not. scanning: reading a text in search of specific information, and ignoring everything else, such as when consulting a bus timetable for a particular time and destination. Setting skimming and scanning tasks in the language classroom rose to prominence with the advent of the communicative approach, and its promotion of the use of authentic texts. 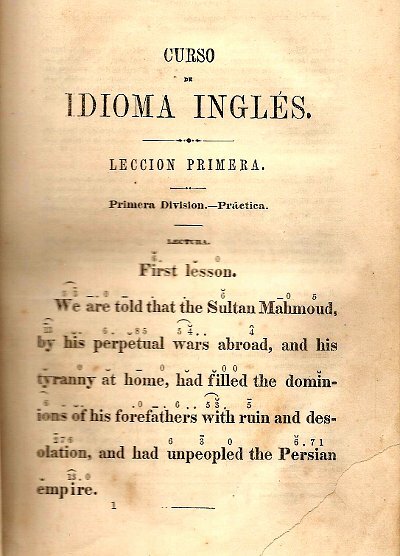 Authentic texts were considered to be more in tune with a functional (i.e. non-structural) view of language, and lent themselves to a task cycle in which different skills were integrated in order to achieve a communicative outcome. Arguably, the only way to deal with such texts – especially at lower levels – was to skim and scan them. “You don’t have to read every word!” the long-suffering students were exhorted. This overlooks two basic facts: (a) most students already know how to skim/scan texts in their L1, and will transfer these skills to their L2, when faced with texts whose purpose precludes a closer reading; and (b) the skimming and scanning of texts (in the absence of a more intensive reading) is a characteristic, not of good readers, but of poor ones. (These, I suspect, are Michael Swan’s arguments too). Of course, it’s true that students, faced with a text in class, tend to ‘park’ their L1 reading skills, assuming that the text is a linguistic object, rather than a communicative one, and adopt a one-word-at-a-time strategy. Setting gist tasks, initially, is one way of discouraging this tendency. Giving students a time-limit to identify what the text is about, who wrote it, to whom, and why, seems an excellent way of ‘peeling off the first layer of the onion’, as it were. But this is less a skill-teaching strategy than a text-attack one. And, unless it is followed up by a more detailed reading, including some kind of focus on the linguistic features of the text (e.g. its lexical, grammatical, or discourse features), it would seem to be a singular waste of time and resources. L2 readers need a minimum threshold level of general L2 language competence before they can generalise their L1 reading abilities into L2. Where proficient L2 learners are good readers in their L1, the consensus view (based on a wide range of research studies and teachers’ observation) is that reading abilities can, indeed, be generalised across languages even in the case of differing scripts. This would suggest that, in order to optimise skill transfer, the teacher should either pre-teach the unfamiliar vocabulary, or choose (or create) texts whose lexis is within the students’ present competence. Researchers suggest that familiarity with 95% or more of the words in a text is the cut-off point. (The Vocab Profile tool on the Compleat Lexical Tutor website allows a highly useful test – based on word frequency data – of a text’s readability). But pre-teaching vocabulary or using graded texts is not ‘teaching reading’. It is simply allowing learners to transfer existing skills into their L2 reading. Why do it, then? Because texts are a useful springboard into other activities, including speaking and writing, as well as offering the opportunity for a more detailed analysis of the text’s grammatical or discourse features. Failure to exploit texts in these ways, by simply skimming or scanning them, teaches nobody nothing. Wallace, C. 2001. ‘Reading’. In Carter, R., & Nunan, D. (eds.) The Cambridge Guide to TESOL. Cambridge: Cambridge University Press. A recent item on the BBC website (Reading test for six-year-olds to include non-words) reminds us that the debate about phonics continues to polarise educationalists and the public alike. 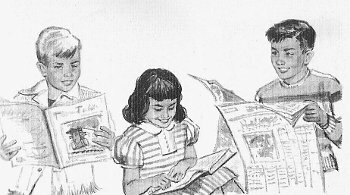 The fact that a government-mandated reading test for six-year-olds is to include nonsense words, like ‘koob’ and ‘zort’, which the children are required to sound out, has incensed advocates of a more meaning- and context-driven approach to developing first language literacy: “It’s just bonkers!” The very mention of phonics is guaranteed to elicit this kind of knee-jerk reaction in some quarters. 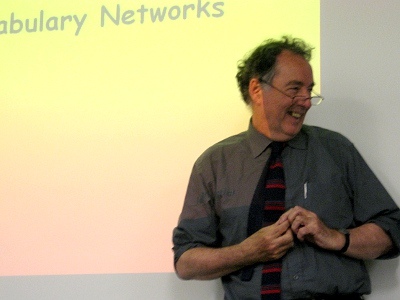 is an approach to the teaching of first language reading that is based on the principle of identifying sound-letter relationships, and using this knowledge to ‘sound out’ unfamiliar words when reading. The analytic, bottom-up phonics approach contrasts with a more holistic, top-down approach to developing literacy skills that is called (in the US at least) whole language learning. Whole language learning is premised on the belief that, “in the development of both speech and writing, children begin with a whole and only later develop an understanding of the constituent parts… Parts are harder to learn than wholes because they are more abstract. We need the whole to provide a context for the parts” (Freeman & Freeman, 1998, p. 65). Because so much is at stake (i.e. first language literacy, and hence access to all the ‘cultural capital’ that goes with being able to read and write) the debate between advocates of phonics, on the one hand, and of whole language learning, on the other, has become iconic – representing as it does the war between traditionalists (‘teach the facts’) and the progressivisits (‘nurture the child’). The former claim that there can be no learning without knowledge of the system (i.e. the rules), while the latter claim that the only real learning is self-directed, socially-situated, and experiential. Supporters of the phonics position cite research studies that suggest that the best predictors of reading ability are good phoneme-identification skills (the ability to sound out a word like c-a-t) and a knowledge of letter-sound correspondences, enabling accurate decoding of the written word. In one of a series of studies, for example, Byrne & Fielding-Barnsley (1995) found that children who had been instructed in phonemic awareness in pre-school “were superior in nonword [i.e. nonsense word] reading 2 and 3 years later and in reading comprehension at 3 years” (cited in Grabe & Stoller, 2002). Advocates of whole language learning, on the other hand, argue that learning to read emerges out of immersion in a world of texts. “Children growing up in literate societies are surrounded by print. They begin to be aware of the functions of written language and to play at its use long before they come to school. School continues and extends this immersion in literacy…” (Goodman & Goodman, 1990, p. 225). Krashen (1999) cites a number of studies that show that what he calls ‘free voluntary reading’ “profoundly improves our reading ability, our writing ability, our spelling, our grammar, and our vocabulary” (p. 54). Is there a compromise position? 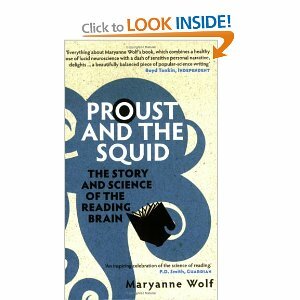 In her fascinating book, Proust and the Squid, (Wolf, 2008), Maryanne Wolf argues that successful decoding is contingent upon “knowing the meaning”, and that “for some children, knowledge of a word’s meaning pushes their halting decoding into the real thing”. One clue to a word’s meaning is its context, and an understanding of context requires reading skills, such as predicting and inferencing, of a more global kind than simply knowledge of sound-letter relationships. And it also assumes the existence of an already extensive and well-connected lexicon: “The more established our knowledge of a word, the more accurately and rapidly we read it” (p. 153). This program should be differentiated from both ‘whole language’ and ‘phonics.’ It differs from most whole language programs in recognising the need for temporary instructional detours in which the child’s attention is called to particular cues available in speech or print. It differs from phonics in conceptualising phonological awareness as an outcome of reading and writing rather than as their prerequisite (pp. 129-130). How does all this relate to second language learning? As I point out in An A-Z of ELT “the phonics debate is less of an issue [for us] since most adult second language learners are already literate”. Nevertherless, the more fundamental argument – as to whether the parts should be taught in advance of the whole, or vice versa – is just as relevant to language teaching as it is to literacy learning, and just as capable of inflaming similar passions. 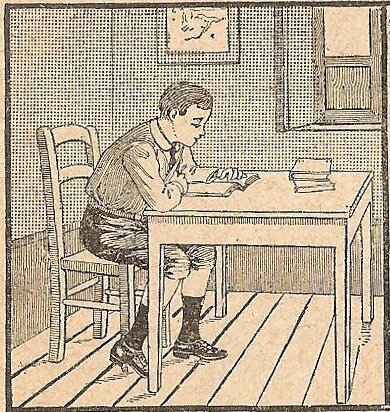 Clay, M. & Cazden, C. (1992) A Vygotskian interpretation of reading recovery. In Cazden, C. 1992. Whole Language Plus: Essays on Literacy in the US and NZ. New York: Teachers College Press. Freeman, Y., & Freeman, D. (1998). ESL/EFL Teaching: Principles for Success. Portsmouth, NH: Heinemann. Goodman, Y., & Goodman, K. (1990). Vygotsky in a whole language perspective. In Moll, L. (ed.) Vygotsky and Education: Instructional implications and applications of sociohistorical psychology. Cambridge: Cambridge University Press. Grabe, W., & Stoller, F. (2002). Teaching and Researching Reading. Harlow: Pearson. Krashen, S. (1999). Three Arguments against Whole Language & Why They are Wrong. Portsmouth, NH. 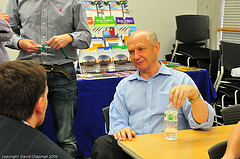 : Heinemann. Wolf, M. (2008). Proust and the Squid: The story and science of the reading brain. Thriplow: Icon Books. But surely, when teachers ‘do reading and writing’ nowadays, and within the framework of a communicative approach, this is very definitely socially-situated and functional: Read this article and infer the writer’s attitude…. Write a letter to your local counsellor complaining about the lack of sports facilities …etc. In other words, where does ‘reading and writing’ finish and ‘literacy’ start? Is it the fact that it’s ESL-oriented, and addresses “special needs”, that makes it literacy? In which case how does literacy training differ from ESP? Or is literacy the converse of illiteracy, and does literacy training therefore imply that learners are not yet literate in any language? Given these confusions, it seems to me that literacy is a bit of buzz term that has migrated into ESL (and even EFL) from mainstream education. (And even in mainstream education, I get the sense that literacy is a moving target). In short, how can I improve my definition?